Dr Victoria Wilson is a highly experienced Senior Clinical Psychologist currently working for Greater Manchester West Mental Health NHS Foundation Trust in their Adult Mental Health Unit. She has a BA in Psychology, MA in Psychology & Doctorate in Clinical Psychology. She is also a Member of the British Psychological Society, Member of the British Association for Behavioural and Cognitive Psychotherapies and is a Member of the Health & Care Professions Council. Dr Wilson has over 25 years’ experience working with adults suffering from Mental Health Issues. Dr Wilson is experienced working with a range of difficulties, including post-traumatic stress disorder, anxiety, low self-esteem, depression, eating disorders and bipolar disorder. She is able to provide personalised therapeutic methods to her patients, including Cognitive Behavioural Therapy & Schema Focused Therapy. Dr Wilson is descried by colleagues as a hardworking and reliable therapist, and dedicated clinician. She has particular strengths in developing excellent working alliances with clients and offering high quality interventions. 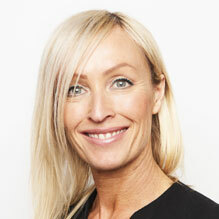 Clinical Partners are delighted to present Dr Victoria Wilson to our Manchester patients. You don't need a GP referral to see Dr Victoria Wilson.